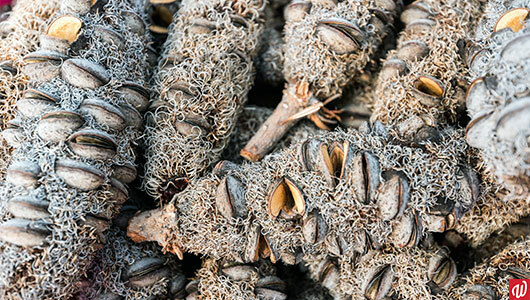 Here’s further details about the techniques used to source native seeds and what we do to ensure the greatest chance of success. Direct seeding often used in rehabilitation and revegetation works to increase biodiversity and stem density. Seeds are planted directly where they are to be grown instead of being cultivated in pots and transported on site. It results in a more natural look, healthy plants, and can be more cost effective than other forms of rehabilitation. We’ve seen great success with our seeding program so far. In 2018 alone the team direct seeded over 200kg of native seed on multiple projects. The seed used included those collected from previous collection seasons and also sourced from accredited seed suppliers. With regular maintenance, these areas will grow into roadside landscapes that showcase the unique beauty of our native plants. Direct seeding does require a large amount of seeds and can show slower results than other methods. It also needs highly specific conditions for success and ongoing maintenance and care. We stored the seed in our specially designed cool room at the optimal conditions as per RIAWA’s accreditation guidelines. And finally, our team used harrows and rakes to ensure the soil was freshly agitated and in the best condition for ‘seed to soil’ contact. The Environmental Services team will provide regular maintenance of these areas until they are fully grown. Looking for efficient management of revegetation or rehabilitation projects? Get in contact with our Environmental team today for a free quote. Contact Alex Growden here or at (08) 9375 4950!